Bay County is my home, where my roots are planted and where my family business has operated for 50 years. Hurricane Michael swept through the Panhandle just shy of a Category 5 storm, but we’ve emerged unbreakable. Four billion dollars in insured losses, 129,876 insurance claims, countless people impacted, homes and businesses destroyed. But, Florida is resilient. We have a AAA credit rating from all three credit rating agencies and we have paid down more than $10 billion in debt in the past eight years. Our solid fiscal health has put us in a good position to not only recover from this storm but come back stronger than ever. In fact, Moody’s Investors Service came out and said Florida will not only weather Hurricane Michael, but our response and resiliency is viewed as a credit positive. It’s important we continue the work that has led us here. After the storm passed, we quickly started the process of rebuilding. 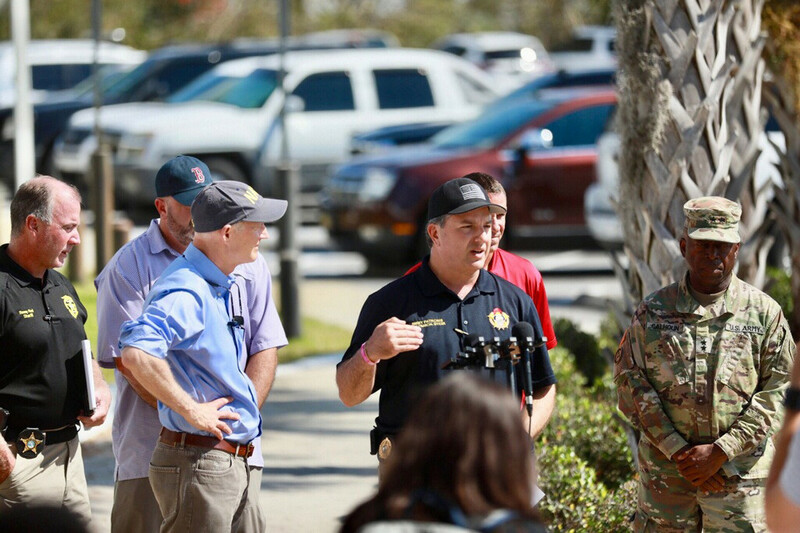 From deploying our Urban Search and Rescue Teams, highly trained first responders who conduct door-to-door searches, to getting boots on the ground to ward off post-storm fraud, we worked every day to protect communities. We can’t thank our first responders enough for the sacrifices they made to help our neighbors. Fraud costs Florida families and businesses millions every year, and we saw post-storm fraud immediately. I deployed my Disaster Fraud Assistance Strike Teams to look for anyone taking advantage of our business owners and residents. My investigators have already dealt with cases of unlicensed activity and contractors operating without proper insurance. As a business owner, I know the importance of being licensed and insured. Those who operate under the table, without proper coverage, put everyone in harm’s way, and it takes business away from honest, legitimate establishments that follow the law. Fraud is more than unlicensed and uninsured activity. High pressure tactics by a few bad actors can lead Floridians to sign over insurance rights. This puts the contractor between you and your insurance benefits. Overinflated repair costs are submitted and lawsuits can be filed in your name without you even knowing it. We’ve seen a significant increase across all insurers in assignment-of-benefits lawsuits from approximately 400 in 2006 to more than 28,000 10 years later. This type of fraud drives up the cost of insurance for all Floridians. This is exactly why I pleaded with everyone to not sign anything in the aftermath of Hurricane Michael until they contacted my office. It’s also why I called on the insurance industry to step up and process claims quickly for businesses and residents in the areas impacted. When insurance carriers don’t do their jobs, it leaves a wide opening for fraud. Businesses are the lifeblood of any community. It was important to me to do all we could to get these storefronts back open as soon as possible to serve their customers. I’m encouraged by the progress we’ve made, and the many businesses who have rebuilt and reopened so quickly after the storm. I know there is still work to be done and I’m in this for the long haul, but the Panhandle is open for business. I have the opportunity to serve as your chief financial officer for the next four years. I’m the business manager and financial watchdog for the state, and I don’t take this role lightly. We will continue to work hard every day to ensure government works better and more efficiently for you. That includes helping the 850 community come back stronger than ever. Together we will make a better, stronger Florida.